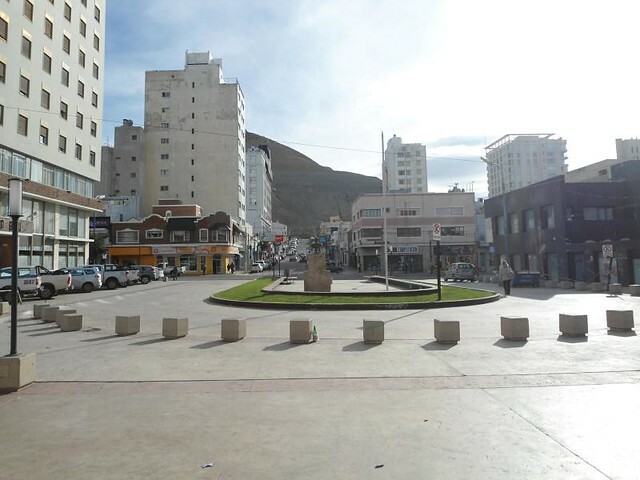 Comodoro Rivadavia is a city in the Argentinian Patagonia with cold and windy weather that grew and is recognized thanks to the oil exploitation and refineries built in the area at the beginning of the 20th century. 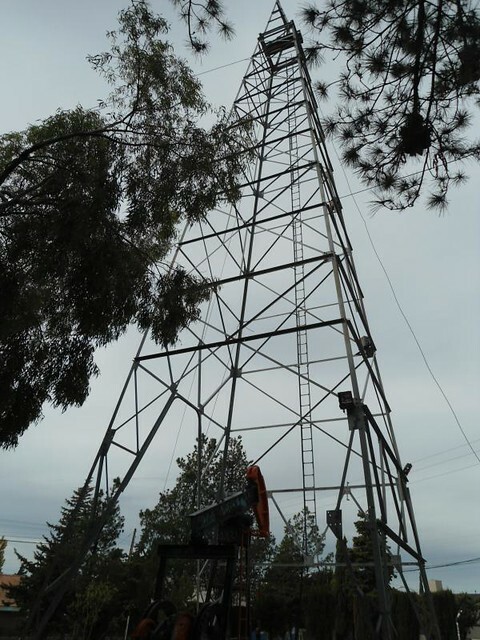 Due to the climate factor the area is also recognized as having one of the largest wind farms in the country. The best and fastest way to get to the city is by plane, in my case it was with a night flight of 2 hours 30 minutes with the company Lan Argentina from Buenos Aires. We must also bear in mind that, due to the weather, delays and even cancellations are common. 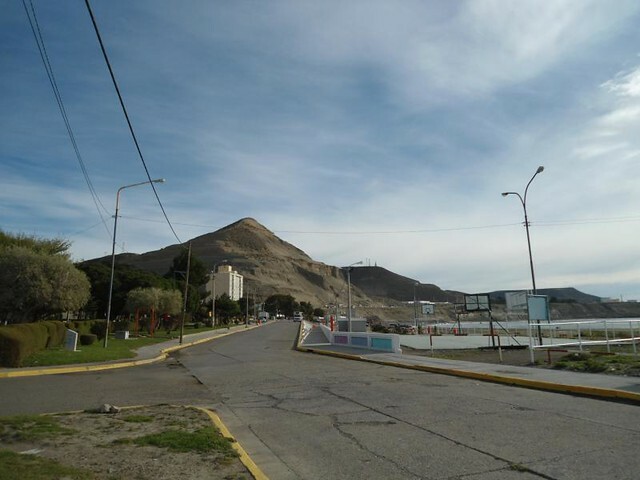 To get to the city center, I walked along National Route 3 from my accommodation located in the Mosconi General District, 3 km from the city, since the hotels in the city center are expensive as the majority of in most of the cities in The Patagonia Argentina. 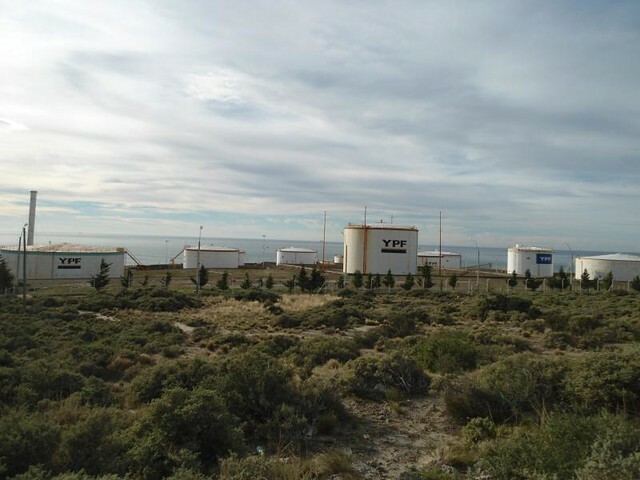 The first view surround the in the city are a pair of oxidized crude containers from the company YPF and a couple of hills with their windmills, among which Cerro Chenque stands out. From there, if you reach the top you can have a privileged view from the whole city. 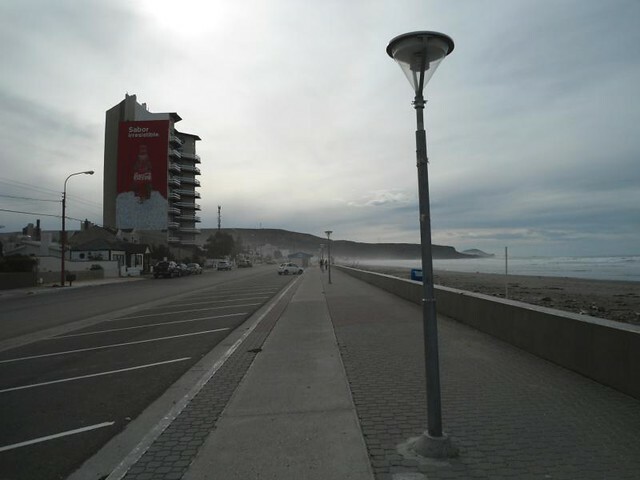 The city port at the entrance of the city seemed abandoned and unattractive to walk. 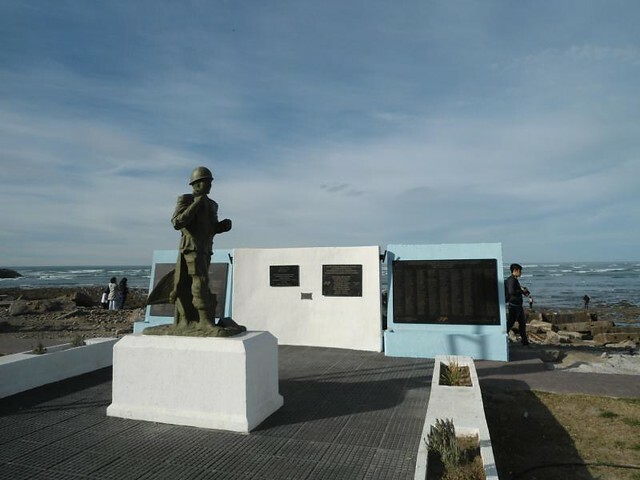 The port leaves a few meters of waterfront where you can not miss a huge monument to Falklands War, something very common to see in any city in Argentina, especially in the south of the country. 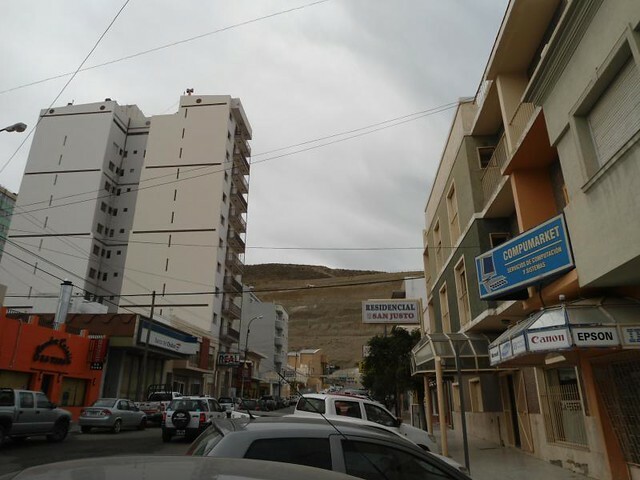 The center of the city is very crowded and you can see an huge amount of shops especially on the main avenue, Rivadavia. 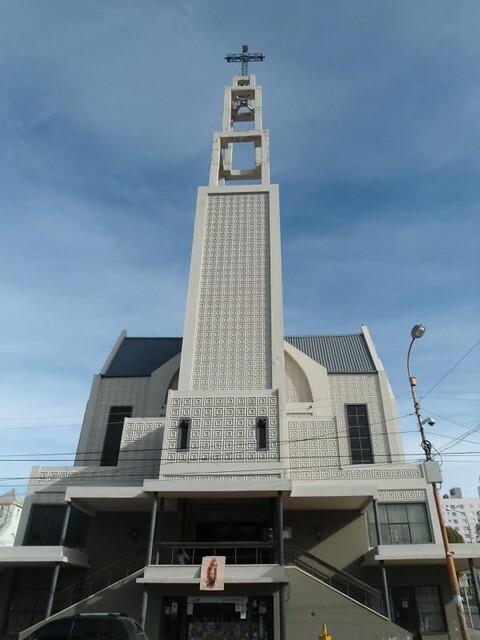 It is also to highlight some buildings like The Cathedral, San Juan Bosco with its peculiar architecture and dome that would seem half finished. The city also has some museums, most of which closes on Saturdays. 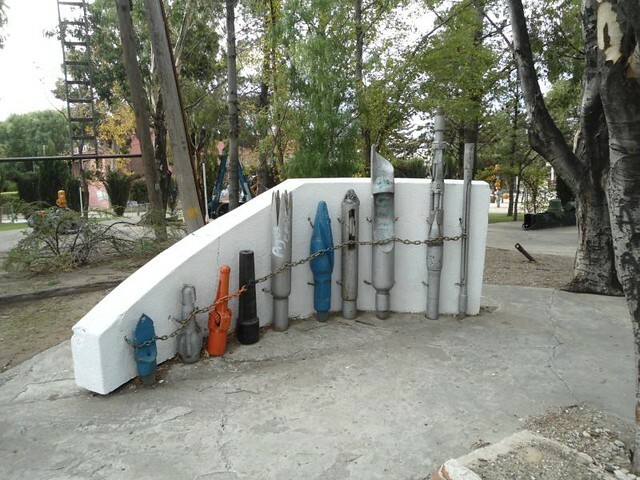 The most important museum in the center is the railway museum. It is just a few meters from the bus terminal and its building is a beautiful recycled train terminal. 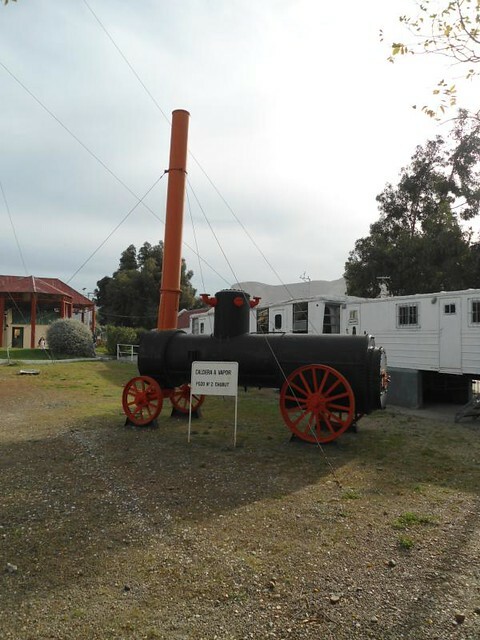 In the museum you can see several objects and information from the former railway station. 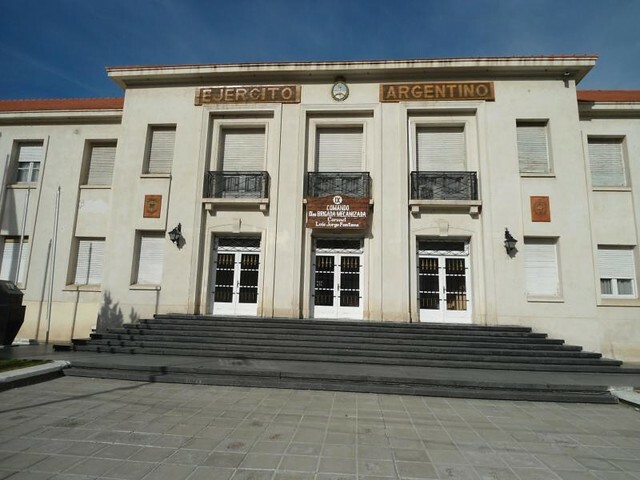 There is a cultural center as well in the city center that was virtually empty by the time I visited it. Opening Times: Monday to Friday, from 8:00 to 20:00 hs. ; Saturdays from 13:00 to 19:00 hs. ; Sunday and holidays from 15:00 to 20:00 hs. 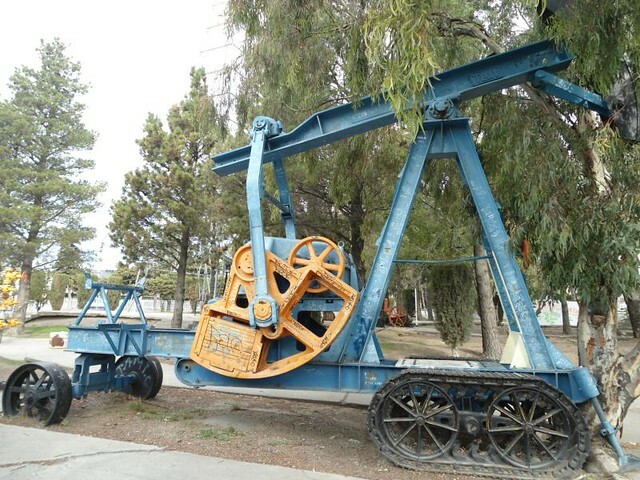 This museum is unique in the country and one of the most important in Patagonia so it is an almost obligatory visit if you are passing through the city of Comodoro Rivadavia. The museum is located 3 km from the city center in the General Mosconi quarter and is easily accessible by public transport or taxi. 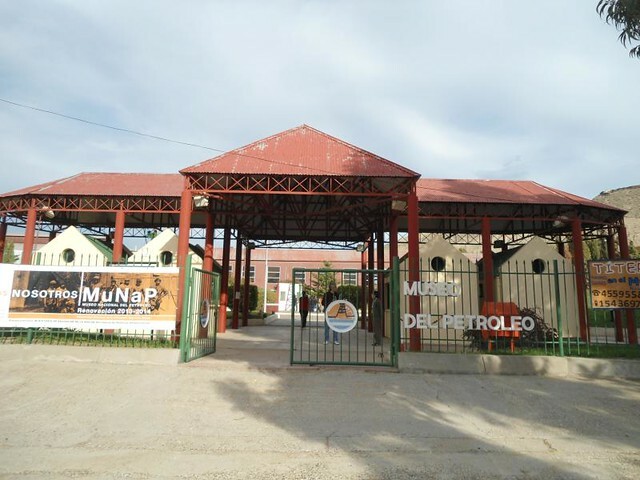 The museum entrance is free and can be visited freely in a couple of minutes or with a guided tour. 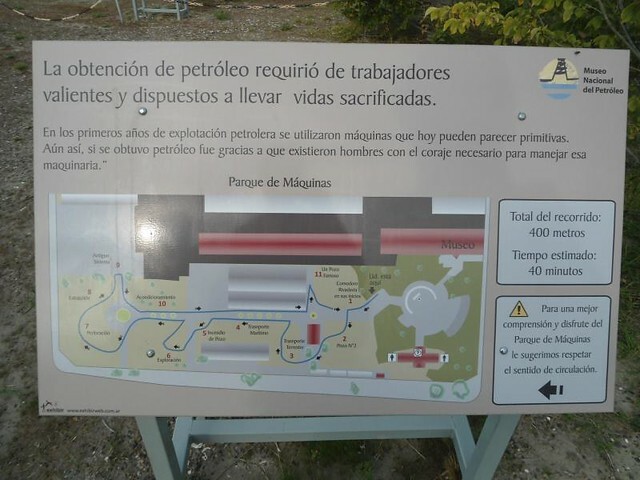 There are good explanations unfortunately only in Spanish and a story of oil extraction in the area. 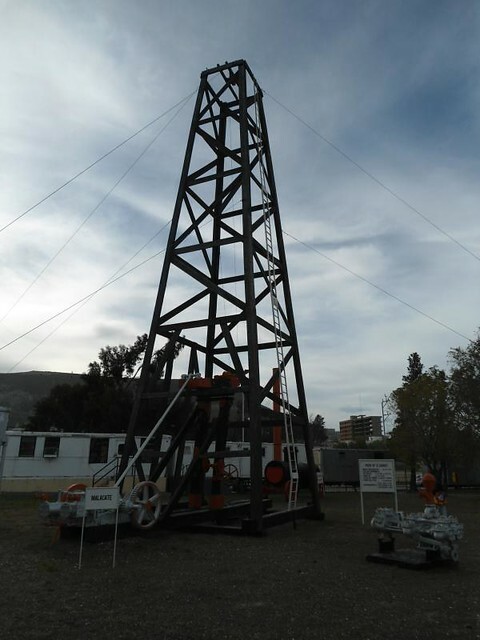 During the visit to the museum what can be seen are all the elements used for the drilling of oil wells, extraction and refining of oil until it is converted into fuel. 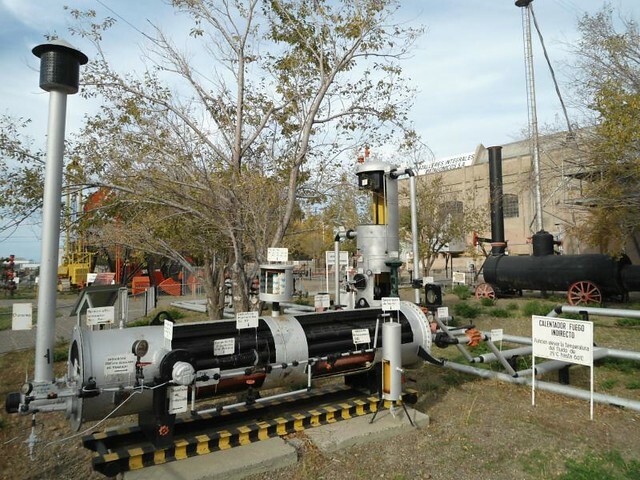 The majority of the museum is outdoors and the stuff exhibited are the originals that were used to work in the wells. 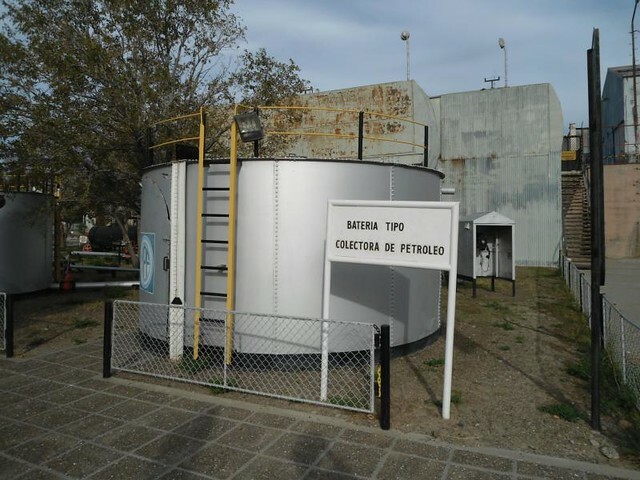 Location: The main entrance is located in the street San Lorenzo between Francisco Viedma y Carlos Calvo. 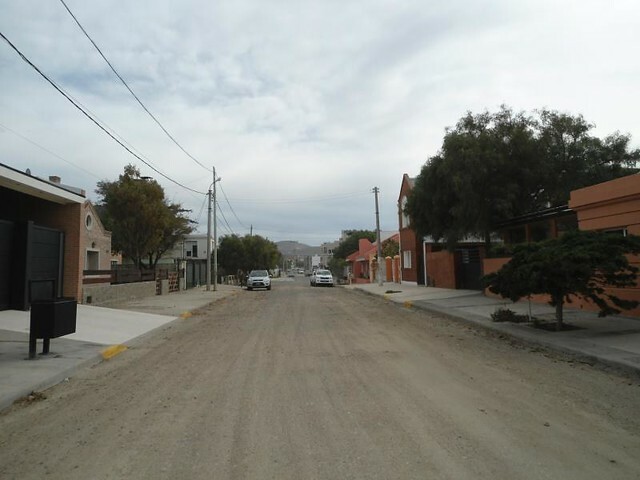 Barrio Mosconi – Comodoro Rivadavia – Provincia de Chubut. 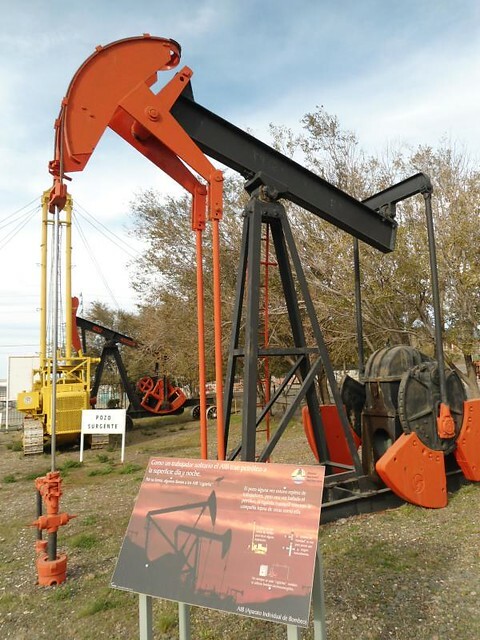 The General Mosconi district was born thanks to the oil wells at the beginning of the 20th century. 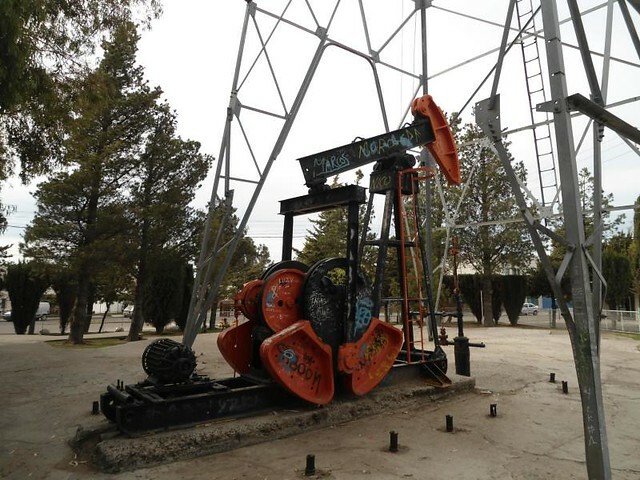 Nowadays these primitive wells are in the place where the petroleum museum is, next to plates with the names and thanks to the first workers. In the main square on Route 3 you can see elements of oil drilling and an old and historic neighborhood cinema waiting for its restoration and reopening. Also crossing Route 3 on the side of the coast there is a documentation file of the Petroleum Museum with opening hours from Monday to Friday. 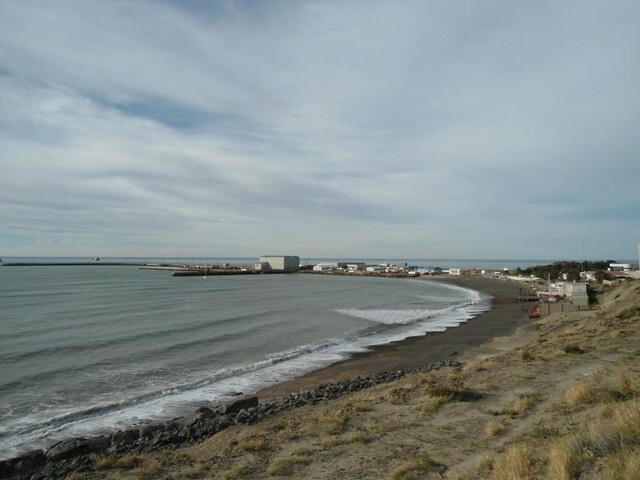 Tipical holiday destination for the inhabitants of Comodoro Rivadavia, Rada Tilly is located about 12 kms from the city and it is very easy to get there by public transport from the Comodoro Rivadavia terminal with the company Rada Tilly Express. The buses have a good frequency along the route 3 and it takes approximately an hour to arrive. 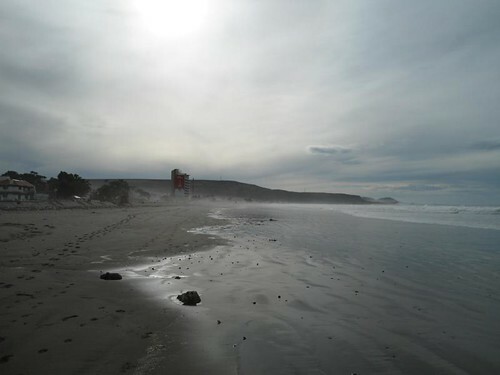 In my case, as the bus goes around a lot on arrival at Rada Tilly, I had to ask the driver where to go down to get to the beach. As it was winter, the beach was deserted but it is a very rewarding experience to walk alone on one of the southernmost beaches in the world. 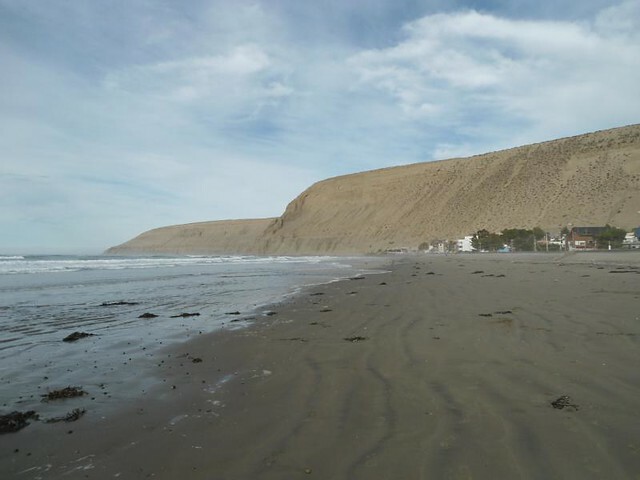 The beaches themselves are quite spacious and there are good accommodations in the area although the city does not have a large tourist.